International organizations are playing an increasingly important role in the international legal order. They are active in virtually all fields of human activity, they regularly conclude international treaties and continuously interact with other actors of international law. Nowadays, they wield growing normative powers. For those working for or dealing with international organizations, a sound understanding of the law of international organizations thus appears indispensable. The overall goal of this Course is to provide participants with a comprehensive knowledge of the key issues of the Law of International Organizations that is necessary in order to understand the role and position of international organizations in the contemporary legal order. Apply theoretical knowledge acquired during the e-Course to their different professional capacities, including working for international organizations, dealing with international organizations in diplomatic service, in various ministries or non-governmental organizations, or researching international organizations. Module 1: The definition, principles and basic legal issues of international organizations. Module 2: The functioning of international organizations. Module 3: Issues of responsibility and liability involving international organizations. Module 4: The settlement of disputes involving international organizations. The Course will be conducted in English and delivered over 4 weeks starting on Monday, 14 October 2013. Each one of the four modules is to be completed within a week. At the end of the fourth week, one additional week will be allocated for submitting answers to a final case study. The successful completion of the Course requires four weeks of committed study, with an average study-time of 10 hours per week. This course will be given through UNITAR’s Virtual Platform and will thus allow participants maximum flexibility with scheduling. Thus, participants need a minimum hardware and software equipment (nearly all computers fit this) and basic computer skills such as logging into websites, navigating the Internet, using Microsoft Word, uploading/downloading documents, and of course a reliable Internet connection. 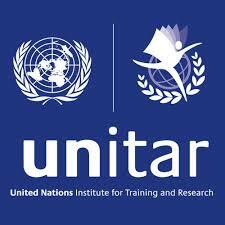 Using a state-of-the-art training architecture, UNITAR will combine self-learning with assessments and online discussions. The pedagogy – adapted specifically to professionals in full-time work – will help train participants through various experiences: absorb (read); do (activity); interact (socialize); reflect (relate to one’s own reality). The course moderator will guide participants in their learning process and answer their questions. In addition, UNITAR’s staff will provide them with technical support on how to use the learning tools available on UNITAR’s Platform. In order to assure interactive exchange as well as provide participants with personalized learning assistance, the number of participants per moderator will not exceed 30 students. Participants who successfully complete the four modules of the Course will receive a Certificate of Completion issued by UNITAR. The course aims at responding to the needs of a variety of professionals working for or dealing with international organizations. Thus, it is aimed specifically toward international civil servants, government officers, legal practitioners, diplomats, specialists from various ministries (Foreign Affairs, Justice, etc. ), law professors and researchers, members of bar associations, NGO representatives, and advanced students in the fields of law, international relations or other associated fields.